"Why sell now versus waiting until the holidays are over or waiting till Spring?" This is a great question and I will address this in a way that may shed some light on the way the Myrtle Beach market works. Remember, I have been selling in the Myrtle Beach market for 17 years, I went to kindergarten 35 years ago in Myrtle Beach and I graduated high school from Myrtle Beach. In other words, I know this market very well. The banks are putting a hold to foreclosing on people during the holidays. Every year, the banks slow or stop foreclosures because they do not want to evict people during the holiday season. This is a temporary blessing for the Myrtle Beach real estate market because it keeps the supply down for about 3 months. When supply is low, demand can remain the same and those that are listed will have a better chance of selling and a chance to get a little more than fair market value. It is just a myth that you get more in the summer months...you typically get more in the winter because there is less competition. You cannot reap these benefits if you are sitting on the sidelines. Buyers are more qualified in the winter. I'm always asked, are there buyers during the winter? Yes, there are buyers. Actually, there are less buyers, yet the ones that are here are golfers, snow birds or people looking for a second property. In other words, the buyers in our market now are serious and extremely qualified. The advantage for selling today is that you get to expose it to the most qualified buyers that come to our market all year. The average buyer looking today has a higher personal net worth then those looking in the summer. It's Thanksgiving week right now and our schedules are booked with buyer appointments for the next 2 weeks. 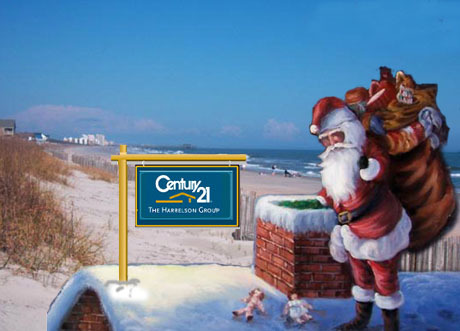 Trust me, the buyers that are taking time to look at properties during the holidays are serious about buying. They don't look at properties for no reason...they would rather go shopping. As agents, we know that every buyer call is valuable during this time of year. Like you, a lot of property owners are thinking of listing at the beginning of next year or at least by spring. That decision can cost you a lot of money. Think about this...if everyone is waiting to list after the new year while the banks are putting a temporary hold on foreclosures then two things will happen. First, the supply of listings will be very low making it better for those that are currently on the market. Second, all of those that are waiting will dump their properties on the market at the same time that the bank releases foreclosures again. Then we will feel the impact of an over-supplied market again. Real estate markets are controlled by supply and demand. The only way to get more money for a property is to sell when the supply is low. I know that a lot of owners are thinking of selling their property next year. At this point, it doesn't appear that the market is going to recover for awhile so if you are thinking of selling then you have to consider making a move right now. The last two weeks have proven to me that the next few months are going to be very good for those that are listed for sale. I have had an increase in personal sales over the past month and some of them have been for higher prices then the last sales in those particular areas. I have been negotiating more money for my sellers because there was less competition...supply was lower. This is the impact of lower supply. I am not in the business of talking you into selling your property, yet if selling is something you are remotely considering then you have to look into it right now. I personally just sold one of my properties two weeks ago for the same reasons that I am stating in this email. I hope you find this information useful. I am going to work straight through the holidays in order to take advantage of the next few months. If you have questions about what selling could mean to you then please call or email me immediately. As always, I am your Myrtle Beach Homes resource. I am here to help you make informed real estate decisions. See our website for more information on why we are your best choice to help you sell your home!